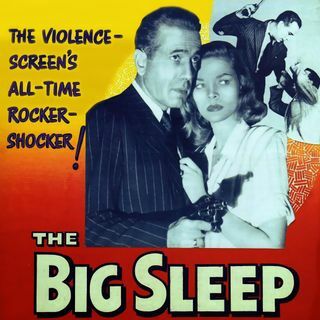 We continue our #Noirvember coverage with a discussion of The Big Sleep. The first proper Philip Marlowe book by Raymond Chandler, it was the second appearance of Marlowe on screen, this time portrayed by Humphrey Bogart. Terry Frost and Eric Cohen join Mike to discuss the pre-release version of Howard Hawks's film, how Bogart portrayed Marlowe, and the 1978 re-interpretation of the source material by Michael Winner. Dahlia Schweitzer returns to The Projection Booth to discuss her ... See More upcoming book, L.A. Private Eyes.